This trip will reveal not only the local life, but also some of its history. Visit the interesting War Museum (Thailand-Burma Railway Centre) as well as the War Cemetery with over 6000 graves of allied prisoners. View the famous River Kwai Bridge, a wooden viaduct, and learn about the prisoners' hardship at the Hell Fire Pass Memorial. Enjoy a colorful Mon dance presentation and hike to a local Mon Tribal Village. 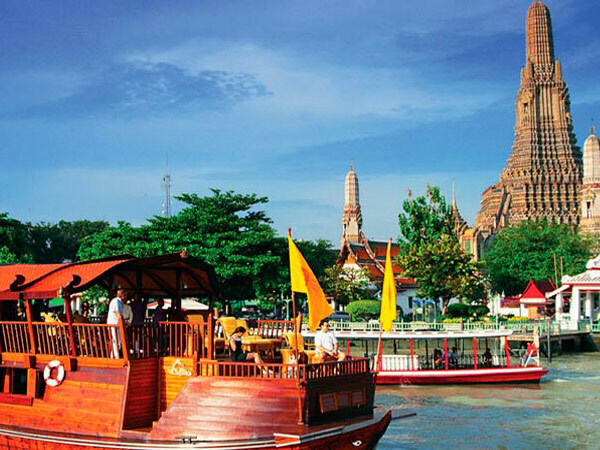 Asian Trails Thailand offers special tours for Bangkok and excellent rates for the 2 Days River Kwai Resotel starting from 2017-11-01 to 2018-10-31 including all taxes and service charges. Meet and greet the tour guide on arrival at the pre-arranged meeting point and transfer to Kanchanaburi province (128 km. to the west of Bangkok). 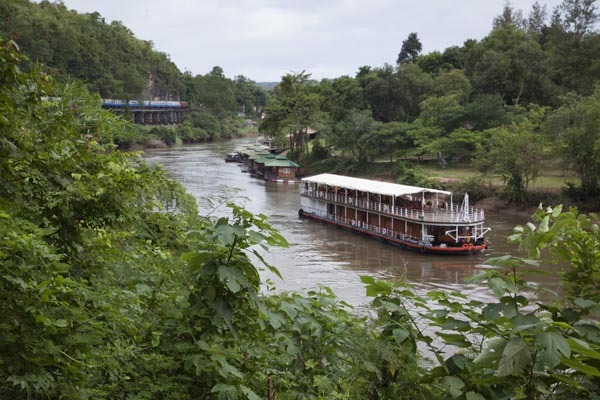 VisitThailand–Burma Railway Centre,an interactive museum, information and research facility dedicated to presenting the history of the Thailand– Burma Railway. This fully air–conditioned centre offers the visitor an educational and moving experience. Visit the Allied War Cemetery which is a memorial to some 6000 allied prisoners of war (POWs) who perished along the death railway line and were moved post-war to this eternal resting place. 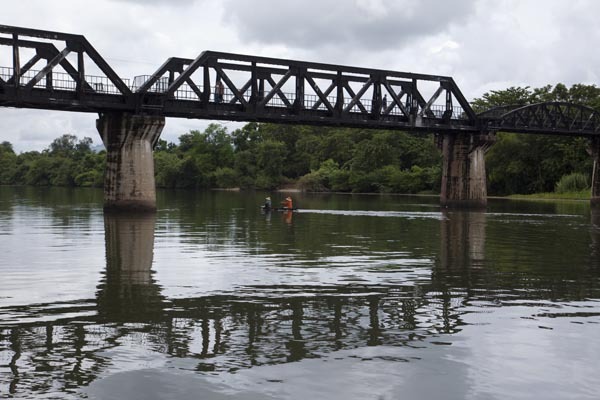 Visit the world famous Bridge over the River Kwai, a part of the Death Railway constructed by Allied POWs in WW2. 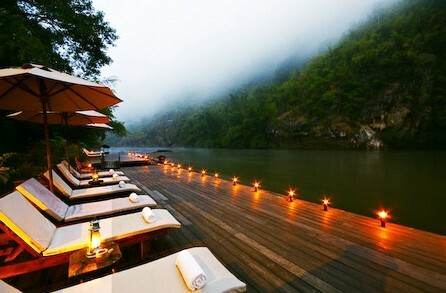 p.m. Take a long–tailed boat on River Kwai to the River Kwai Resotel. Check–in and have Lunch upon arrival. Take an exciting boat ride upstream to visit nearby an ethnic Mon Tribal Village. Take a one-hour elephant ride to visit a Mon Village. Extra: ฿1,800. - Baht per elephant (two people per elephant). Then return to the hotel. a.m. Enjoy breakfast at the Resotel restaurant. Meet the guide after check out and take an exciting boat ride downstream and continue on to visit to the Hellfire Pass Memorial. p.m. Lunch at a local Thai restaurant. After lunch take a historic ride on the Death Railway Train passing over the original wooden viaduct constructed by Allied POWs during WW2. 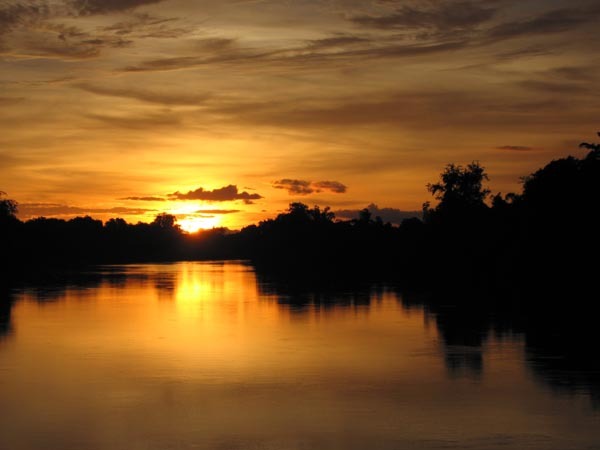 At the end of the day your guide will transfer you to the pre-arranged location in Bangkok. Guaranteed daily departures on private tour with multilingual guide. Minor program changes are sometimes necessary, depending on road and weather conditions and room availability. Should VAT (currently 7%) or any other government taxes or fuel cost be introduced or raised within the contract period, we reserve the right to adjust our rates accordingly to reflect the change. The following Tours are available and can be booked now.